AT&T CooKoo Smart Watch Giveaway! There has been a lot of talk about smartwatches as of late, but why wait for one that may never materialize when you can win one right now from AT&T and TechnoBuffalo? Have you ever longed for the ability to have a watch that could not only tell time, but also alert you to events on your phone? The folks over at CooKoo have done just that, and thanks to the good people over at AT&T, we're going to be giving away two of them! Retailing for $130, the CooKoo can do things such as show you notifications for incoming and missed calls, Facebook alers, calendar reminders, letting you know your device is out of range (you left it somewhere), low battery alerts and more. And thanks to an API, who knows what your phone will be able to do in the future! Currently the CooKoo only works with iPhone 5, iPhone 4S, iPad mini, iPad (4th & 3rd generation), iPod touch (5th generation) on either iOS 6 or iOS 5, but more devices will be announced in the future. This giveaway is open to only those in the U.S. To enter, all you need to do is leave one (1) comment per day on this post through 11:59 PM PST on Friday, Feb. 22, 2013. More than one comment per day will result in disqualification. The comment can be about anything. We do ask, however, that you login with either Facebook or Twitter so we have a way of communicating with you should you win. Contest runs through 11:59 PM PST on Friday, Feb. 22, 2013. Limited to residents of the United States and its territories. Remember, the contest closes 11:59 PM PST on Friday, Feb. 22, 2013. Good luck, and here's hoping you win! If you can't wait to get your hands on the device, you can order the CooKoo Smartwatch right now. If you don't win, don't fret! Check the TechnoBuffalo Giveaways page each week to see what new giveaways there will be! 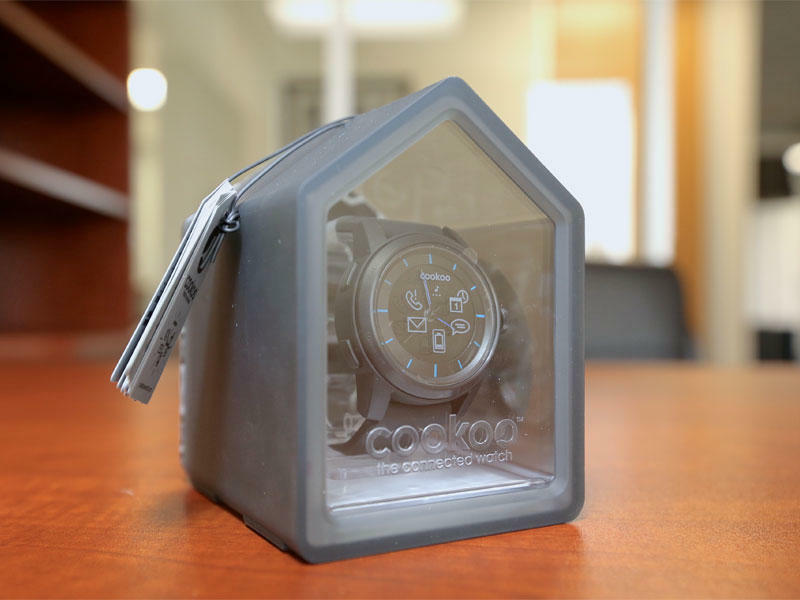 Be sure to check out the CooKoo Watch Facebook page!